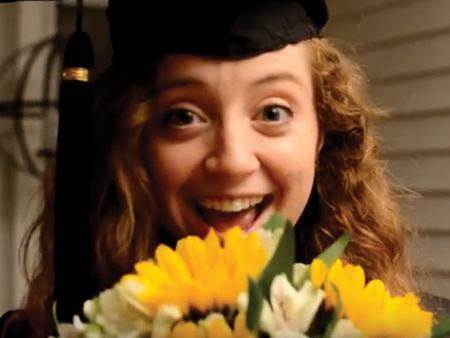 Jaclyn Fiola and I recently won a grand prize for our video promoting the gift of flowers for the American Floral Endowment’s ‘Flower Love Video Contest.’ Last year Jaclyn and I were part of a class project that produced an educational video showcasing research at OARDC. When the announcement for the video contest was released, I thought that it was the perfect opportunity to combine our creative and technical skills again. The point of the video contest was to create a library for floriculture industry members to have access to for their own promotional purposes. Therefore, I had the idea of creating a video showcasing the variety of occasions that you can give flowers for, and the happiness these gifts provide.